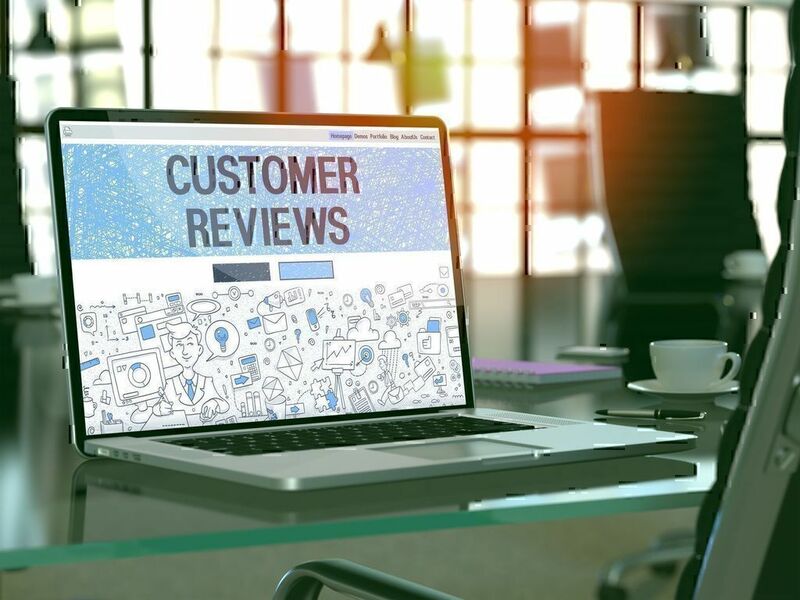 Every month, our algorithm provides us with the companies that have received the largest number of online reviews during that month. Below is the list of the top 10 companies with the most complained about products/services for September 2018. 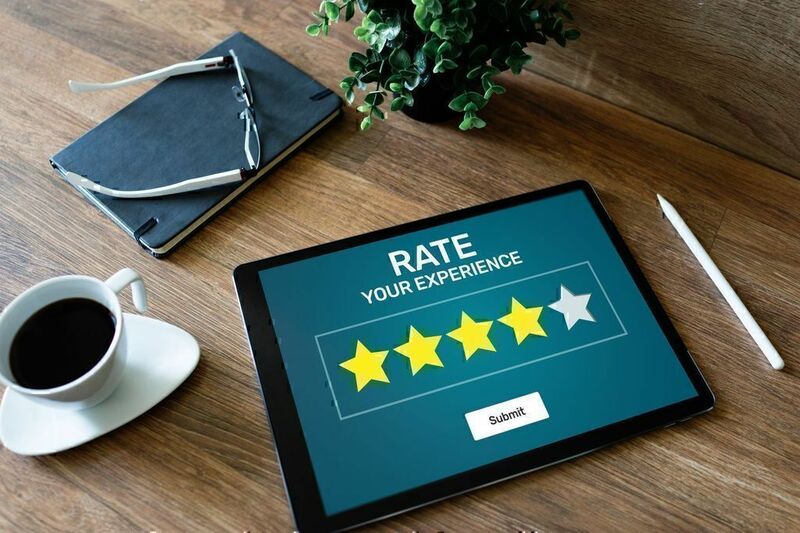 When consumers compare companies, they are trying to figure out the ones that show admirable focus on customer satisfaction, providing excellent services and products. Some manage to deliver on these requirements while others fail. In the following list, you will find the companies that have dissatisfied their customers in the past month. About the company: The Philippines Department of Foreign Affairs (DFA) offers an online appointment scheduling system. It enables passport applicants either requesting the issuance of a new passport or the renewal of an existing one to schedule an appointment and pay the corresponding fees from their homes. Also, the DFA ePayment Portal allows passport applicants to pay their passport processing fees online. It appears that the overwhelming majority of consumers were facing issues with receiving their appointment code. This code is typically emailed to every passport applicant after finishing the registration process and it is vital as it confirms that an application has been completed successfully. Only then an applicant can be certain that their appointment is indeed booked on the required date. According to the DFA Frequently Asked Questions page, it is highly likely the appointment code lands in the applicant’s trash or spam folder due to the settings of their (the applicant’s) email provider. For contact details, consumers can refer to our Customer Service tab. About the company: Doordash is a California-based, on-demand food delivery service. It provides people from select USA regions with restaurant delivery services and is available for both mobile and desktop users. Also, the company offers gift cards of various amounts, ranging from $25 to $200 while the communication with their Customer Service department is possible via a variety of communication methods. The behavior of Doordash drivers, along with customer support, was also much complained about last September. 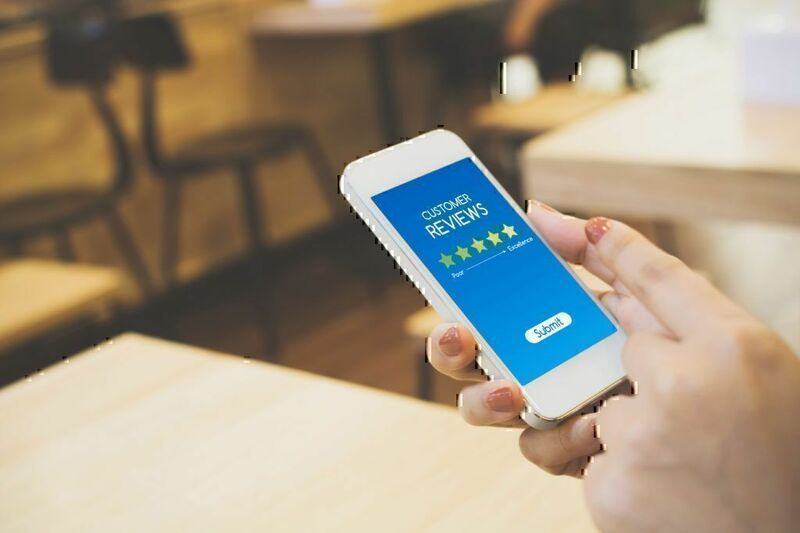 Consumers were unable to contact a company rep to resolve an issue or for an emergency while there were several instances where a Doordash driver had been rude or disrespectful. 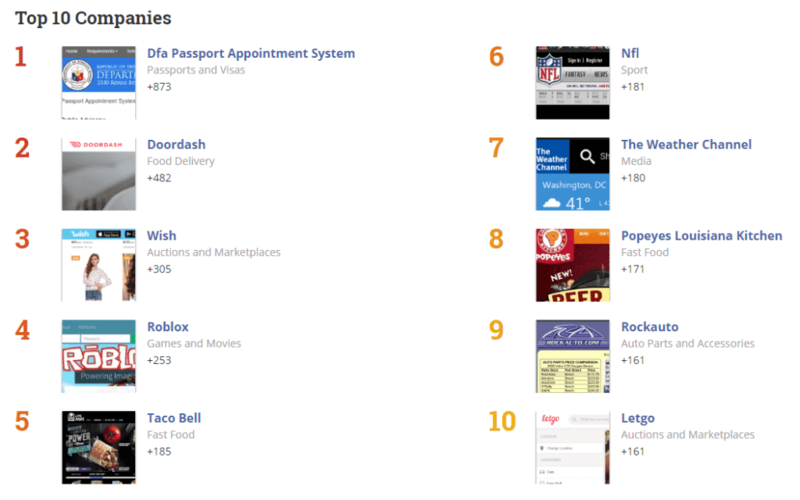 About the company: Wish is an online e-commerce company founded by former Google and Yahoo programmers in 2010. It is claimed that their mobile app had over 100 million users on both the Android and iOS platforms in 2017. 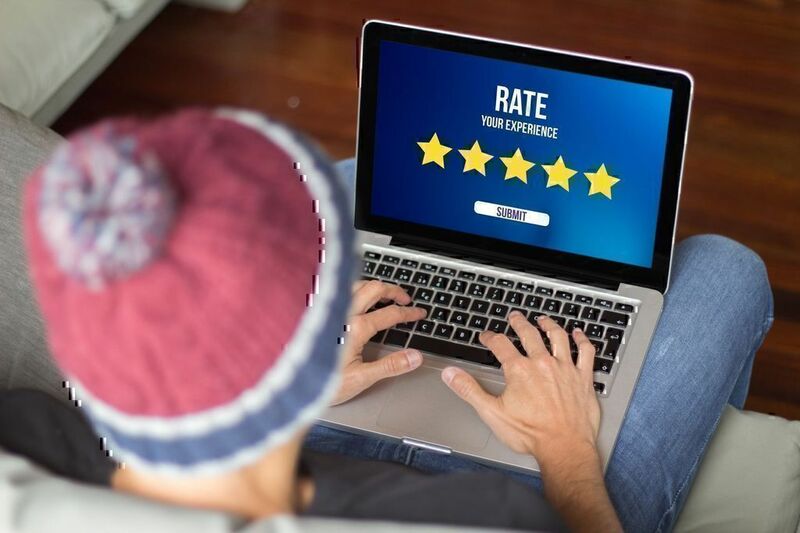 A high number of Wish reviews made reference to the unauthorized use of consumers’ credit card details and charges related to purchases they had never made. Complaints about people that had never received their orders were also frequent last month. About the company: Roblox is an online platform that allows its users to create their own games and play the games designed by other users. The particularity of the Roblox games is that they are constructed of Lego-like virtual blocks. However, it should be noted that many users reveal their personal information to other users in exchange for game tokens and limited/valuable items for their games. Giving out a Roblox password and email, though, automatically gives access to the player’s account. If that happens, whoever has access can do whatever they please with the account. There are also several reviews about site moderators deleting or banning users’ accounts without warning, and Roblox tokens (Robux) that have not been loaded to users’ accounts. If you faced similar issues, you may write a review on Roblox. About the company: Taco Bell is a fast food chain with restaurants all over the USA. They serve a variety of Tex-Mex food. Alongside items priced less than $2 called “value menu” foods. Poor management, delayed orders, food items not being as fresh as they should have been, and shops closing earlier than usual were some of the most common Taco Bell complaints of consumers last September. About the company: The National Football League (NFL) is a professional American football league which play seasons are broadcast on TV and its website. NFL website allows football fans to read the latest news, go through information like players’ scores, and check the upcoming events. It broadcasts on a 24/7 basis to people in the US, Canada, and Mexico. The main reason of frustration for most NFL fans was in regards to the new roughing the passer rules – regulations that changed how a quarterback can be tackled. Many people also expressed concerns about unjust referee calls. So, the complaints were primarily about the game of football rather than the website per se. About the company: The Weather Channel provides people with details about the national and local weather forecast for cities and other weather-related information. About the company: Popeyes Louisiana Kitchen is a fast food restaurant chain founded in 1972 that now has several restaurants throughout America and in other countries of the world. They serve low-fat and low-cholesterol food items, including tenders, roasted baguettes, roasted chicken, and biscuits. Waiting in the drive-through line for an excessive amount of time, bad service, poor food quality, employees exhibiting unprofessional behavior, and being unable to reach out to customer service are some of the things that let people down about the fast-food chain last month. About the company: RockAuto is an online parts store founded in 1999. Consumers can find a variety of mechanical and body parts for their vehicles from hundreds of manufacturers. 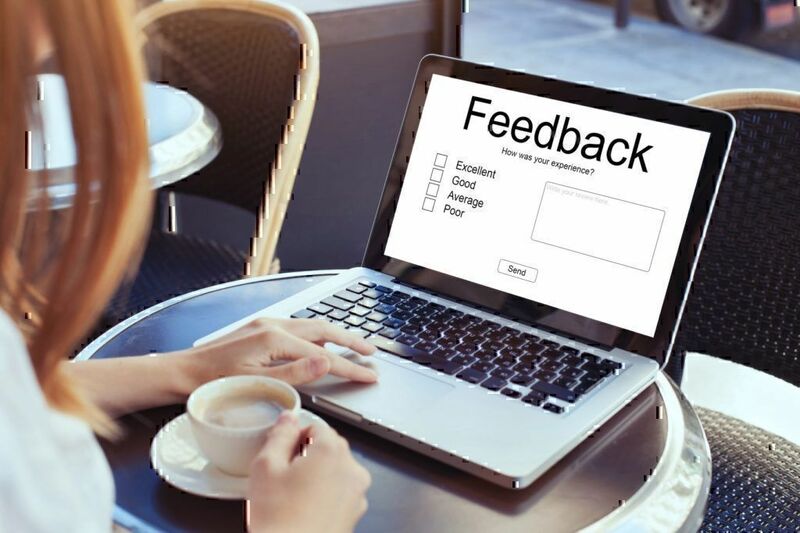 Most of RockAuto reviews left on the Pissed Consumer website showed that consumers were dissatisfied with the customer service, which was their most complained about service. Many Rockauto-ers also complained about not finding a phone number to call a company rep to resolve an issue or get questions answered. However, it should be noted that consumers can find full RockAuto contact details, including a phone number, at our RockAuto Contact section. Finally, people were frustrated with having been shipped the wrong parts and have not receiving a refund. About the company: Letgo is an online marketplace platform where people can buy and sell products across the country. The users are required to use the payment option of their preferences as the platform does not offer a payment getaway. A majority of consumers’ concerns last month had to do with their protection when buying products online. Here are some tips to help prevent being scammed. 1. Ask for close-up photos – Ask the seller to send you a targeted image of the item you want to buy so you know they indeed have it in their possession. For example, request a photo that shows a piece of paper with the date and their name next to the item. If they have taken the picture from somebody else who was selling that item, they will refuse. 2. Record delivery – When you receive an item, record on camera everything from delivery to unboxing. That way, you can later file a claim if something went wrong with your order (i.e., received a broken item). 3. Check the references – If you are using a marketplace that has a system of references, do check it out to ensure the person selling the item can be trusted. Also, compare companies to find out the ones with the best customer service. It is likely a sign of a client-focused brand. 4. Pay in a secure way – When buying online, PayPal is one of your best friends as it allows you to ask for refunds the easy way and secure the money you send. However, make sure you use Goods and Services option when buying stuff (comes with a 4% fee). Otherwise, you will be sending your money as a gift, which is non-refundable. Finally, choose your battles wisely. If something looks or feels too good to be true, then it probably is. If, for instance, somebody is selling a high-value item for much less than retail, you should be alarmed. In this case, it is best to just walk away.